Here comes my list of lust-have’s and lust-do’s for the first month of the New Year. It’s only been 3 weeks since we welcomed 2015 in and it already feels a little bit like old news. In other words, the excitement of the December festivities is long gone and forgotten and gloomy January has gotten hold of daily life. In order to shake off this feeling, I am lusting after some pretty amazing events and, fingers crossed, I am planning to attend all three of them. I have also added to the mix below my lust for some brand new cosmetics and make-up, as well as some other choice stuff, so read on. 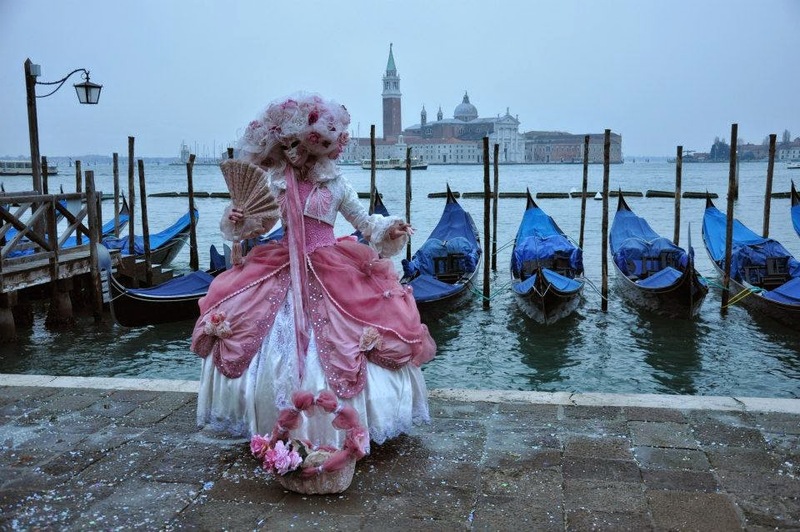 The Carnival of Venice – I am really looking forward to this most splendid of events. I have been to the Venitian Carnevale twice before, but I would be perfectly happy to keep visiting it every year for the next 5 decades or so. It’s exciting, it’s stunningly beautiful and it’s simply magical. Now that we live in Vicenza, less than an hour away from Venice, this is just the perfect opportunity to go. I am super psyched about one particular happening. It is called ‘The Flight of the Angel’, where a beautiful girl is slowly lowered from the top of the belltower (99 meters high!) above the heads of the equally mesmerised and terrified spectators right onto a magnificent stage on Saint Mark’s Square. It’s breathtaking! It’s like the most elegant zip wire experience you can imagine. So, roll on 8th February. Verona in Love Festival – I love Verona and can’t wait to go back there for St. Valentine’s! The city of Romeo and Juliet will be celebrating Love with a huge event over four days. The streets will be dressed in red with fabulous lights and decorations. There will be a Kiss of Love happening with couples aggregating at Piazza dei Signori to celebrate their feelings for each other with a minute long kiss. I also found out that there will be a chance to join the Juliet’s Club for a day to read and reply to some of the 10 thousand letters that are received each year simply addressed: Juliet, Verona. Seeing that I met my husband six months after touching Juliet’s statue right breast, I can’t wait to do what the slogan of the Verona in Love festival suggests. In other words: If you love someone, bring them to Verona! Vicenza Oro – Now, I love jewellery! I love looking at it, learning about it and making it. Moving to Vicenza was like a dream come true for me, as this is one of the most important cities in terms of jewellery making in Europe and, I would say, the world. A jewellery trade exhibition called Vicenza Oro is held here three times a year. This is where all that glitters is actually gold! The most amazing thing is that I have a press accreditation for the event and I am so looking forward to it. There will be some amazing jewellery designs to obsess over, leading jewellery designers and manufacturers to meet, as well as jewellery tendencies to discover and write about. I can’t wait to experience it all! Italian cosmetics and make up – I have been having fun discovering Italian skincare and make up brands. After all, what’s the point of living in another country, if I don’t experiment with local products?! As I shared with you in My New Year’s resolution post, I am working on creating a whole new beauty and make up routine for myself. As such, finding out about brands like L’Erbolario, Kiko Milano, Kalleis and Deborah Milano has been so enjoyable. Watch this space, as I will be sharing about my findings on the blog throughout the coming months. Snow – We missed the first snowfall in Northern Italy this winter, as we were in England at the time. I have seen so many pictures of Vicenza under a thick snow blanket though, that I would be really happy if a second snowfall surprises us any time soon. Failing that, I wouldn’t mind us driving up to Asiago in the mountains in the next few weeks or so and check out the famous skiing and sledding places that can be found there. Honey – I came across the most amazing chestnut honey in our local supermarket. Like most things sold here, it’s made locally. It has a fabulous smoky flavour and it tastes great on a piece of buttered toast. It reminded me of my mum making us toast with honey as an afternoon snack and also adding a spoonful of honey to our cups of herbal tea. The honey is made by a company called Rigoni di Asiago and I will be definitely back for more. Plus, I have just found out that they also make a great hazelnut and cocoa spread. Now, this is something to put on my lust-have’s list for next month.